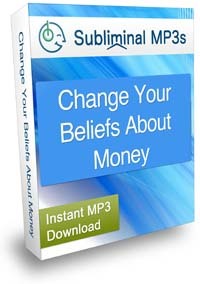 Change your beliefs about money on a core level and start bringing money into your life with the help of our mind penetrating subliminal mp3 album. Do you struggle with money? Do you have negative beliefs about money? Do you have limiting beliefs about your ability to make large amounts of money or to be able to get wealthy? How you think about money really does have an impact upon your life! Your thoughts directly influence how much money you will have in your life, your ability to make money, to save money and to bring it into your life. If you can change the way you think about money then you can change the amount of money you have, you can make more money and you can become wealthy - if you really believe it! 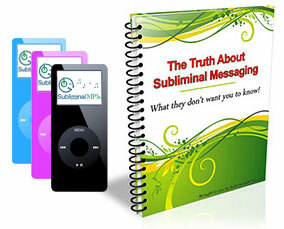 This is where subliminal audio can help! Our subliminal messages will change your beliefs on a subconscious level - they will give you a positive money consciousness! This album will make you feel like you deserve to be rich, that having money is a positive thing, and importantly, that you are capable of making large amounts of money. You can see that having these sorts of positive beliefs (instead of worry and negativity) would have a positive effect on the money you have in your life and you are able to make - which mindset would you rather have? They think about money a lot, and are always focused on acquiring money any way they can. They are always on the look out for new opportunities to make money. They believe they are entitled to money - they believe they deserve money (lots of money), and deserve to be rich. They have a burning desire to make as much money as possible and stop at nothing until they do! They have the millionaire mindset - a higher vision and a way of thinking about money which literally generates money through unstoppable confidence, positivity, and self belief! With beliefs like these money is always on their mind and this drives them to pursue it however they can, to make money no matter what, and go all out to bring money into their life. These subliminal mp3s target your mind to make changes to your long held belief systems about money. They will gradually change the way you think about money to match that of the rich, of successful businessmen, and entrepreneurs. You too will have a belief that you can make money, and an attitude which will make you to go out and get it. Start using this album today and re-wire your mind with positive messages to help you develop a money consciousness and achieve financial freedom.